Normally a quiet, orderly, and scientifically minded community, the World Health Organization committee at the sixty-first iteration of Harvard National Model United Nations is currently anything but. Our reporters at Agence France-Presse quickly discovered brewing tensions within the body stemming from a prevailing sense of imperialism. 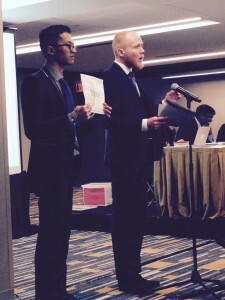 Closer investigation revealed that the United States, represented in the committee by its two delegates, has been conducting a subtle campaign of vote-gathering and disseminating information in order to protect its vested interests in the two topics of discussion, biofortification and pharmaceuticals. Agence France-Presse investigates the behind-the-scenes world of public health in the United Nations. Unsurprisingly, the United States — the world’s largest spender in scientific research and development and home to the renowned National Institutes of Health research laboratory complex — echoed these sentiments in an opening speech that set the tone of debate for the first committee session. Ostensibly eager to protect its high-value interests in medical research and drug development in both the public and private sectors, the United States lambasted the committee for its willingness to consider allowing developing countries to co-opt drug patents filed abroad to allow developing countries to produce generic versions of expensive drugs to sell on domestic markets. Despite this fiery rhetoric emanating from the United States and other vested countries in Western Europe, a number of other member states chose to hold their ideological ground. In a memorable speech that paid homage to its 300,000 citizens who have died from complications due to HIV/AIDS over the last 15 years, South Africa called upon the international community to regulate drug prices to ensure their long-term affordability for people of all socioeconomic status. The country’s representative spoke openly about the “issue of rising [pharmaceutical] prices around the world” and cautioned member states that even countries who are currently able to afford sufficient drugs for their entire population may find themselves unable to do so in the near future given this worrisome trend. Equally notable was the presence of smaller member states in the fight against the overbearing presence of the United States. Tonga, a small island nation of just 105,000 residents, was equally quick to criticize the emerging western power bloc for its alleged inability to empathize with smaller states. Tonga delivers a memorable speech to the delegates of the World Health Organization. The World Health Organization committee can be found in the Gloucester Ballroom on the fourth floor of the Marriott Copley Place Hotel.